Everyone who works in the school system wants the best for the children – let’s start with that assumption. Politicians do too; it’s just that their instinct to ‘do something’ can be woefully misjudged. Here are some thoughts. A fundamental paradox in the school improvement process is that deep-rooted change that constitutes bona fide transformation of educational standards takes longer than almost anyone can bear to wait. There are good reasons for the impatience – every day that real children are receiving a poor education is a day too many. There are also bad reasons – ie that the electoral cycle only gives politicians a few years to work with: two to implement change and, at most, three to show the improvement needed to prove how good their ideas were. That’s not really long enough to demonstrate cause and effect for any educational policy; too often minor indications of positive progress are blown up into cast iron proof of success. We’ve been through the years of ‘turn around’ miracles, with dramatic improvements in results in individual schools, most of which I’ve been deeply suspicious of; many of which have had their bubbles burst by the changes to GCSEs and performance tables. It was always an illusion in terms of underlying educational improvement. Politicians have fuelled a culture that has rewarded and motivated Heads to play the game; a game that does not equate to teaching children to know and understand more. Grade inflation was real and I’m glad that this has been stopped. To me, tackling grade inflation hasn’t denigrated students’ and teachers’ achievements and endeavours – it has saved them from being devalued. Qualifications should mean something – and it doesn’t help anyone to diminish them. Another dimension of side-stepping has been the focus on structures. The current Free School and academisation agenda and the opposition to it are, to my mind, all about politics (ideology?) and very little to do with school improvement. Despite the fact that Free Schools are so new, all kinds of claims are made about how successful they are, not only in themselves but in the impact they have on other schools. It’s all nonsense – because it’s way too soon. For a start, where secondary Free Schools start with Year 7 and grow it takes five years to get GCSE results to examine. We don’t have many of those yet. Are there any? Even then, you’d need to see three years of results to know what the real trends and impacts were compared to local schools. It’s a long game. The analysis of outcomes in the Policy Exchange report seems the most desperate attempt to squeeze a positive spin out of a very small, unclear, premature data set. Read this account or this account and decide for yourself. And yet,this has become a ‘truth’. Free Schools Work. At the same time, blanket opposition to academisation and the opening of any new school that is technically a Free School, isn’t helpful either. It astonishes me when people who work in Free Schools and Academies are treated with contempt by others simply for that fact. To me, schools are schools and in the end, they’ll look identical. There are now so many academies that any attempt to suggest that academies as a group are better or worse than maintained schools is ridiculous. For a start, the early waves of academy conversions were limited to Outstanding schools. In Chelmsford, where I used to work, nearly all the 14 secondary schools converted to academy status. They were the SAME SCHOOLS – and we worked more closely with the Local Authority than ever. Nothing about how effective or ineffective these schools were derived from their designation. I know lots of people in sponsored academies. Some feel the sponsor’s presence; some don’t. Some speak highly of the benefits that their particular chain brings; others are deeply critical. This is the same for any local authority. In Islington, with central operations stripped down to a minimum, I’d say that the difference between being maintained or being an academy is negligible. If we all became academies tomorrow, nothing of any substance that affected children would happen. We’re all accountable to the market of prospective parents, to our existing parents, to our governors and to the public via OfSTED. We’re already hugely autonomous in what we do every day. None of that would change. I’ve never bought the idea that local democratic control of schools has any real impact – because in practice it doesn’t. Not in Haringey; Not in Essex; Not in Islington. Once you’ve appointed a Headteacher and given them a budget, it’s out of the politicians’ hands whichever party they represent. LAs and Chains can offer services and leadership of a kind but not at the level where the designation makes a difference. There are benefits to being part of a local community of schools with shared responsibilities – but that happened in Essex too, even where most schools were academies. Do I want my current school to become an academy? No. Why? Because, apart from the fact that it’s not up to me, it would be a massive waste of energy. Locally, people associate the community of schools with the Local Authority and that’s fine with me. But that’s not a principle – it’s just pragmatism; what works best for the children. A key element of the side-stepping with Free Schools and academies – and this is what annoys me – is the lack of acknowledgement that the New School phase or Change phase is inherently short-lived. This is the same effect as bringing in a new manager to a football club – but we all know how that pans out in the long-term. It’s a piece of cake to set up a new school compared to raising standards in an existing one – perhaps that’s the key reason for the government’s enthusiasm for Free Schools. They are NEW; shiny, untainted, fresh. It’s all about possibilities and optimism. But, surely, you can’t argue that Free Schools are a school improvement strategy, not in the long term. At the same time, if the SoS was simply talking excitedly about a New School strategy – mostly in basic need areas – I’m sure we’d get a lot less oppositional froth. Over time, schools will change, growing and shrinking to match demographic shifts and that’s Ok. Arguably, any school that is deeply worried about a new school opening nearby should be worried. My attitude is ‘bring it on’. It’s my job to make my school so good, anyone would choose it – and it seems sensible to embrace the presence of another great school nearby for all the kids that can’t get into mine. Of course, I might also argue for a local middle tier with planning and coordinating powers – but that’s just way too sensible! If we all accept that Academy conversion is 100% a red herring, forced academisation is another side-stepping manoeuvre . Again, the strategy is not to worry about the precise problems or work out how to solve them; it’s just to get new people in to tackle them. Side-step. This comes with the tough talk rhetoric that we’re so accustomed to nowadays. ‘We simply WILL NOT tolerate low standards – (we’ve no idea how to raise them but that’s not our problem – we simply won’t tolerate them. )’ I wonder if I should run my school like that? Instead of working with teachers to help them improve and creating a culture of mutual trust and high challenge, I could just walk in and tell everyone that I won’t tolerate low standards and that the weakest teachers will be replaced – decisively. Of course that doesn’t work. I tackle underperformance robustly but intelligently, not in a way that makes everyone feel they have a gun to their head. I was raging about this in an article for the TES last week after the Queen’s Speech. I hope that, in the long run, we can move the discourse away from structures and accountability measures, moving towards a collective process of problem solving around tackling underachievement, more intensive teacher development and better support for emerging leaders. It would help if politicians checked their pronouncements more thoroughly with a range of educators before making them. We don’t need a new school-business initiative (they already exist, occupying that icing on the cake domain); we don’t need a teacher oath; we don’t need to turn a sensible teacher CPD entitlement into a ‘teachers’ MOT’. Labour needs to do better in opposition to sell a bigger vision instead of tinkering around the edges or peddling blind opposition to ideas they wish they’d had in the first place. John Blake and Ros McMullen have both written about this recently. As I look at my school improvement priorities for next year, as I’ve described here, I can’t think of too many things a politician has said or done to make this easier for me (apart from getting rid of NC Levels to catalyse our work on assessment; I’m a huge fan of that.) I suppose that’s ok, as long as they let us get on with it and give us the time and resources we need. Let’s hope. Meanwhile, I’m looking forward to reading something of a grand vision for education from Labour before too long. I just hope they ask a few teachers to read it before it gets published. « Ideas for Teaching Better. All In One Place. I share so many of your concerns and ‘perplexities’, Tom. Not least about the short-sightedness of much of our current policy. Having just returned from talking to teachers and City leaders in Helsinki, I’m still reeling from their shared, consistent, self-assurance and vision. I think we are spinning too many plates and we’re trapped trying to measure the marathon with a Christmas cracker tape measure. Keep blogging these messages, Tom. 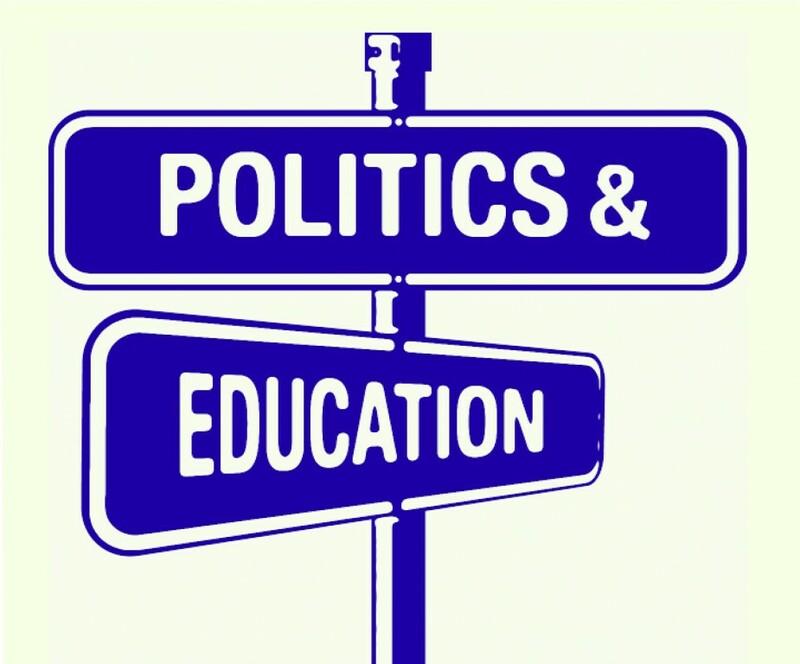 Agree with your analysis of the interaction between politics and education. When I was a main scale teacher I often thought “something must be done” about this or that. As time passed I became a teacher leader and I realised that it was my job to do something. I heard teachers around me continuing with the mantra “something must be done”. “They” should do something about “it”. As a leader I have always tried to understand what the “they” and “it” are, and to move on to the “how” stage, and the “actions” stage. As a profession we don’t seem to have got beyond the “something must be done” stage. We seem to be hoping that “they” will do something different, be it the government or the opposition. The only way anything different is going to happen is if the “they” becomes “we”. Time for the profession to lead. Thanks for this. ‘They’ becomes ‘we’ – I like that! Hello Tom. What makes you suggest that ECDL – which accredits prior learning on ICT – has no educational value ? I’m not saying it has no value but in this context the suggestion was that schools do it as insurance in securing 5A*-C -not because it’s a good course. Secondly,a course you rock up and take after three days’ prep based on prior learning can’t possibly equate to the rigour and depth in learning say Physics, History, Art or Computer Science. It’s this kind of thing that got exams into such a mess. Students deserve better than to be told their qualifications have more value than they do. ECDL has merit on its own terms; great to get students to take it. But as one of 5 GCSEs? I don’t think so. Thank you. Its difficult to see who loses out in this scenario however. The students gain a worthwhile qualification that accredits proficiency in several Office modules. I would imagine employers would find that useful to know about a potential employee. The school gains a buffer in case marginal students slip and just get 4 A*-C + En/Ma threshold. For many headteachers there is a lot riding on that figure this summer – potentially their jobs. The night before the results are announced in August, I’d sleep a little better knowing that I had done everything possible to secure that bottom line. Once again, no-one loses out. This is a DfE-approved qualification after all. Not quite sure what you mean about a “spiralling re-sit culture” too. Aren’t students allowed to have a second try at a qualification ? Which other area of life is it one strike and you are out ? Again, its difficult to know who lost out with the opportunity to re-sit exams. I think this is dangerous territory, mixing motives – eg a buffer for a school, Heads saving their jobs and losing sleep over a bottom line shouldn’t determine the value of a qualification. To me, any course you can take in three days totally undermines the integrity of the system; it’s part of our duty as Heads to maintain that integrity, even if it means rejecting easy wins like this. Sure,let students show what they can do on Office modules – but let’s not line that up against English Literature, French and Geography GCSE just because we can. Resitting multiple times in one exam year distorted the outcomes for everyone. Ofqual could see this happening; grade inflation was the result – but children weren’t any better at the subjects. The grades of some students sitting once were depressed because of the inflationary effect of the resits; it was tactics over teaching. I think plenty of people were losing out. The new exam regime is tougher but will force us to focus on teaching and nothing but teaching – instead of planning tactics and looking for loopholes. In the long run that’s got to be better. I don’t see what the problem with mixing motives is. Good Heads saving their jobs and a good night’s sleep, students and schools reaching targets – those are all powerful reasons for going with this DfE-recognised qualification. There is a danger in articles of this kind that one can get divorced from the day-to-day realities that many Heads face in tough schools. If your job depended on the outcome and the course is within the rules – you take the option. A head’s role in “maintaining the value of qualifications” has high-minded value, but I think you overestimate what the government is willing to allow headteachers to contribute to. As for ECDL, yes, it is possible in extreme cases to take the qualification in three days but the teaching of it across the curriculum has taken years. I then ponder on the role that government played in keeping the integrity of the system ? The answer is in their short-term responses such as culling speaking and listening from English, pulling iGCSE from league tables, the “EBacc for all” proposal and the 2017 Progress 8 points with triple points for the more-able compared with EFG. Your faith in the government / Glenys axis is touching Tom, but I fear that the world is much more brutal than your analysis. Many schools are offering ECDL for the right motives and shouldn’t be criticised for that in the current environment – in my opinion. I find this response quite sad really – it indicates the pressures people feel; I don’t underestimate that. Sadly, speaking and listening became tarnished beyond credibility – no longer representing genuine achievement. I don’t think anyone would dispute that if they saw the data OfQual sees. iGCSEs were being sought out as an easier way to get grades on some courses – these things all detract from the hard graft of teaching better and making kids work harder – we’re better off without them. Progress 8 is a flawed measure in my book; if people choose a course because of it, that’s sad. If ECDL wasn’t included on the list, would people still offer it to students? If the answer is No, then that says a lot. Playing up the 3-day fix for ECDL didn’t do it any favours in the credibility stakes. The two-year blip in P8 while the new GCSEs come in is something we’ll have to ride out; it just means the only game in town is to teach better so students get more higher grades – no short-cuts. I’m up for that. As for EBacc – well, we had already decided that our students (73% FSM) should all do MFL and Humanities at GCSE from now on so, although I don’t think it should be compulsory, it won’t change our curriculum. I think it’s the kind of learning all students should get, not just those in grammar schools and top sets. As I say, it’s sad that good Heads are forced into playing the tactics but I also think it’s healthy that we’re being forced to just focus on teaching and learning. All good points Tom – I don’t think anyone would disagree over the prime role of (at least) five years of quality teaching and learning on securing strong achievement. I guess we will have to agree to disagree over the role of more tactical elements of curriculum choice in an increasingly political accountability environment. But Tom, I’m confused. Your basic argument has merit – don’t tinker with systems and structures – improve the quality of the learning experiences that the students get each and every day. Yet when I read your “school improvement priorities for next year” it all seemed to be about changing systems and structures and I struggled to find reference to genuine development endeavour? I very much admire the courage you show in openly sharing your own leadership journey, but I find this apparent dichotomy disheartening. Please show me how I got this so wrong! That’s quite a surprising response from my perspective. In this post I’m talking about school structures – ie whether schools are academies or maintained etc. In our improvement priorities, every one of them is about improving learning experiences, following the ideas in the Trivium, improving behaviour, developing a new assessment system, introducing a Baccalaureate with a Personal Development Programme etc. The curriculum changes provide a different set of learning opportunities to those we currently offer. Of course internal school systems underpin these things – but culture and systems go hand in hand at school level. That’s what makes them work. At the level of designation – academy, Free School etc, it’s an entirely different concept. The new “assignments” look to me like re-designations of medium term lesson plans, or schemes of work or programmes of study (call them what you will). You are changing the name and the layout, but how has this improved lesson planning? Your BfL leading bullet point reads: “Raise the bar on basic expectations, automatic C3s and C4s for lesson disruption”, but how does this improve your teachers’ behaviour managment skills, or indeed the quality of relationships in the classroom? These both look like examples of side-stepping to me, but just on a more micro level? The problem is that I’ve cited headlines on a development plan; underneath them is a stack of work that is far from side-stepping. The behaviour system is driven by CPD – we talk about it continually. The assignments are a framework for addressing real learning issues; the planning element is just a bonus feature. Read the whole post on that. There’s more to it than the SDP outline captures. I think you might be looking for something that’s not there. All of our priorities are about changing students’ experience in the classroom. Then I apologise but I find it even more worrying. Why are the headlines on your SDP not really clear and totally focused on improving students’ experience? Yes I have been lazy and not looked through the detail of your SDP, but the headlines are what we often leave with. In this day and age we look for soundbites and we extrapolate far too much from them (I am not saying this is right, it is just what happens in today’s info-centric society). You have a strong voice in the educational community and many (including myself) look to you and similar system leaders for inspiration and hope. I expect that you do indeed talk every day about improving behaviour, and I am sure that you offer high levels of support to your staff, so why is it necessary to raise the stakes so high in BfL and why would your teachers need a devastating tool like an automatic C4? I am not taking issue with the content of your SDP, but the (rather misleading) presentation. Please make it clearer so we can all understand and benefit. The current presentation of your SDP gives the impression (for example) that to improve behaviour you will crush students with high stakes consequences. This is akin to the governmental high stakes exam results measures you referred to where headteachers and organisations such as PiXL have learned to game the system. Wouldn’t teachers be tempted to game such a BfL system to make themselves look good by under- or over-reporting as they see fit? I do agree with your idea that “culture and systems go hand in hand” and maybe this is why successive governments use smoke and mirrors such as renaming, re-designating or rebuilding a school. These new schools then have a mandate for cultural change, often with new management, staff, structures and policies. Re-designation seems to work for you as a school, so why not let the DfE have a go at it too? Is it not a bit like the regular refurbishment that successful pubs and restaurants undergo? I suspect that such re-designation is a highly effective tool used to drive forward change for good across many industries and public sector organisations, and not a mere side-stepping of problems. This is all lost in translation. Our BfL system has made a massive impact on our students’ experience of learning. I’m blogging a snapshot – to give a flavour; most people get that. What really matters is what we do internally. No-one games the BfL system; that’s way off the mark. The comments here Tom are fascinating and you have stimulated a heated debate ! I think you are a little unfair on Pixl . I am a huge admirer of SirJohn Rowling a man of real moral purpose who has done a massive amount to promote collaboration and support amongst schools . Their view , let’s get the best outcomes for as many students surely must outweigh any apparent distaste at playing the system . I say this by the way as a Grammar School head with a traditional curriculum that will be suited to Progress 8 . However currently our students are doing IGCSEs because when Gove rubbished GCSE s he actively encouraged schools to do the Cambridge IGCSEs ! What do I do in 2016 ? Do I continue with them because I think they have educational value Tom and because they link well with the Pre U ( linear for some time now ) in the Sixth Form . Or do I row in behind the league tables and play the game ? I might be able to get away with it because of the selective nature of my school ? Interesting times ! Surely the Cambtidge iGCSEs have been scrapped by the board itself, capitulating to the DfE threats to the board. I am waiting to hear what the independent schools will do on this as iGCSEs used to be their property. As regards Sir John and PiXL I admire the man, take advantage of the work to protect and promote our grades, doing great motivational things to help kids self belief, confidence and commitment. However, when Sir John gave me a platform to speak on IGCSEs it was clear that most of the 1200 delegates were there to find grades. The so called moral aspect eludes my understanding. I think we should all find playing the system distasteful. Are kids better educated or have we played the game? If it’s the latter, we are culpable for downgrading our system, nowhere to hide. I’m not knocking pixl per de- I’m saying it’s unacceptable to promote a course you take in three days; that’s dumbing down writ large; it demeans us all. How much autonomy should schools have over what they teach ? The news that all schools will have to make their students do the Ebacc will fuel the debate over command and control at the centre . Thank you for taking the time to articulate and share some of the frustrations that school leadership is faced with. A quick point, “Towards a collective process of problem solving”. Becoming increasingly difficult in the market economy that has been created through league tables and further exaggerated by competing academy chains. Thank you for this, Tom. It only just appeared in my Twitter feed, hence the delay in reading it. For me, you have hit upon a major flaw of our entire educational system, which is the political elements that are working on the wrong timeframes. Do I blame the SoS of the day for their decisions to bring in their various accountability measures? On the one hand, yes, but we are all working in an environment where measures are in place to demonstrate progress and achievement. The difficulty now is that each new SoS has to prove their worth by introducing a new approach, which leaves the education system scrabbling to adjust. Think of the ‘Red Queen’ effect, with everyone having to travel faster and faster, just to stay still, and we have a clear understanding of why so many in the profession feel so jaded. Sadly, I don’t see the system changing. New governments or SoS will come to power, and will go about making the “gold standard” even shinier. I just hope we can keep enough committed people sufficiently energised and energetic to buffer the negative impact of the constant change. How can any government think they can direct school improvement planning in all schools when they don’t know any students in any school. To me school improvement is based on the urgent student needs of the kids you have today. Not the ones we had when the politicians went to school. More sniping at PiXL. Taking one very selective example and using that to characterise a whole organisation with 1500 schools. As someone who has written recently about facts and evidence, could I invite you free of charge to the next PIXL members conference in May when you can see the full breadth of our work with schools ? That way you will get a complete and truthful representation of the scope of PiXLs work. I’d love to come. I know a lot about PiXL and this isn’t a general critique or sniping. A three day GCSE undermines a lot of what I think education is for – that’s fair comment isn’t it? Doesn’t mean I dismiss PIXL in general- I just think we need to remove any tendency towards short cuts and loopholes. It feels wrong to me. If the offer stands, I’m coming! Thanks. Hello Tom – if you could send your email address to me at paul@pixl.org.uk, Id gladly set it up. Thanks – I understand you have mentioned PiXL only once and I apologise for any curtness in my comments above. And this is the one and only time I’ve ever mentioned PIXL. You’ve already commented above!